Written by Tom Ewer on August 21, 2014 Blog. 7 out of 10 customers abandon their shopping carts. This is obviously a problem. Rusting carts litter the urban landscape, fuel the illegal scrapping industry, and…wait, wrong kind of carts. I’m actually talking about the online variety, the abandonment of which is creating an even greater problem. People leaving e-stores in the middle of purchases cost retailers an estimated $18 billion annually. But some experts suspect that it’s not the abandonment itself that’s the problem. In fact, it seems to be a normal part of the process leading to the decision to buy. The problem is that it took the e-commerce world too long to realize that. Just a few years ago, 81% of online retailers assumed that the minute the browser window was closed, that was the end of the sales process. However, recent numbers are showing that with the right methods, plenty of wayward leads can be pulled back and converted into loyal customers. The number one cause of cart abandonment, by far and away, is hidden fees. A 2011 survey found that 74% of customers were turned off purchasing something online by the shipping costs alone. Businesses’ failure to offer free shipping is the single biggest cause of abandonment in e-commerce. And a full half of the purchases that went through were from vendors that did have it. So, as you can see, free shipping is a huge selling point. Some experts suggest you offer it on orders that are a little bit over your average ticket figure, so you can make up the price difference by bumping up sales. For example, if most of your customers buy $100 worth of stuff, you can offer free shipping on orders over $120. “Just browsing” and “changed mind” are the second and fifth most common causes, respectively. Quite a bit of cart abandonment is normal when your audience is just getting acquainted with your site – 99% of first-time visitors won’t buy anything, for example. That’s why tools like email lists and lead nurturing that encourage prospects not to buy immediately, but just to visit a second time, are so important. And here’s the twist: 72% of them will return to buy something within a day – if you handle the next steps right. Once the customer’s clicked away, it’s crucial to get search or email remarketing triggered as soon as possible. So let’s talk about those. Search remarketing, or retargeting, is a technique that lets you display ads for people who’ve recently searched for keywords relating to your business. It’s a bit different from display remarketing, which is simply when an advertiser tracks your cookies and randomly tosses up banner ads for something you looked at some point in the recent past. Search remarketing is laser-focused. And far less irritating, I might add. It displays the ads only when your customer is currently looking at something related to your products. These usually take the form of Google text ads. It’s fairly straightforward, and fairly easy to get started with. Good copywriting and keyword research are needed, however, to make this approach a successful one. Using a service like ReTargeter, you can run an ad campaign that highlights why you’re the best as your customer is looking at other options. So, if they leave to watch or read a product review, or look at your competition for a potential lower price, you can place your banner ads on the websites they’re visiting, hopefully encouraging them to come back. A more detailed guide to it can be found here. In its simplest and most effective form, email remarketing consists of setting up an autoresponder to send an email to your customer with a permalink to their abandoned checkout. And it’s by far the best proven way to get that 72% you so desperately want to achieve. First, you have to get the customer’s email address. If you’ve ever wondered why so many sites require you to register for an account just to buy one measly item, here you go. If you can get your customers to give you their email addresses before they reach the checkout stage, any auto responder you want to send out will be able to reach a lot more of them. You’re looking for the perfect balance between nudging your customer and annoying them. Just like in dating, you don’t want to harass someone who doesn’t seem interested, just to remind them you have unfinished business. It’s recommended that you send three emails, one an hour after they leave, one a day after they leave, and one sometime within the next two weeks. Further emails are optional, but 95% of customers who don’t buy two weeks after abandoning a cart won’t do so ever, so be careful how much money you throw after people who’ve already very likely made up their minds. You should also include an image of the abandoned items in question. Buyers are more likely to want to buy if they have a tangible reminder of just what it is they’re missing out on. Same goes for reviews from other customers, ratings, and suggestions for similar products. And whatever you do, make sure the link from the email leads back to their original cart. If your customers have to start over again, there’s a much higher chance they won’t want to be bothered. You can also offer your customers a discount. Don’t get me wrong, you don’t want to offer one to everyone who abandons a cart, but it can help to give one to customers who’ve already been loyal to you for a while, or for ones who return to their carts within a specific time. Just don’t specify that the discount is because they abandoned their cart, or else you’ll have everyone abandoning their carts just so they can get the same discount. You might want to add a satisfaction guarantee, just to ensure fidgety leads that they can always return their product if they don’t like it. Don’t worry, if your products are genuinely good, they won’t want to. And if they’re not genuinely good, well, reevaluate your choice of inventory, maybe. Finally, include a phone number and email address, just to reassure people that you care about their feedback and any issues that may arise. If you’re doing business with Shopify, you’ll have to spring for a Professional or Unlimited plan to get access to this service. If you’re working with another provider, or managing your own, plenty of third-party companies like Listrak can do the same. Once you master these tips, you can work on developing personalized cart abandonment campaigns. But those are beyond the scope of this article. 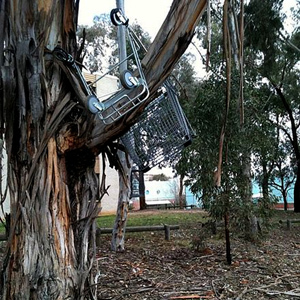 For now, just know that an abandoned cart doesn’t necessarily mean an abandoned order. If you do these things, you’ll be ahead of two thirds of your competition. Now over to you. What have you done to reduce cart abandonment? Any secret techniques? Let me know in the comments. hi! thanks for sharing with us really nice n informative article. If a customer went into your shop and filled a basket full of goods, got to the check out only to put down the basket and walk out, I’m sure you’d want to ask why they hadn’t gone through the check out and bought the goods. If this happens to someone shopping online, until now it’s been much harder to track them and stop them before they walk out and buy else where. This has now all changed. Leadcall’s unique system tracks your customer’s online journey when they visit your online store. Should they abandon without completing the purchase, it seemlessly triggers a timely call between your call centre and the ‘almost customer’. This can help massively increase online conversion rates with very little effort or cost. Effective shopping cart recovery can increase your overall online conversion rates by up to 500%. A customer goes online looking to purchase products or services. Early in the Check Out process the web site asks for contact details including phone number. You choose from where in the checkout process you want us to track the customer journey. You have the prospect on the phone, the sales agent is fully informed, they know who the prospect is, what products they were in the cart, how much etc, everything they need to have a warm and friendly call. This dramatically increasing the chances of converting the sale since even the worse call centre agent will out perform the best web site when it comes to conversing browsers to customers. An average client can expect to convert around 30 to 40% of calls to sales, but this varies from client to client depending on the product and the stage in the process. Some clients have reported conversion rates as high as 70%! If I someone phoned me because I’d abandonned a sale, that would freak me out and I’d likely never visit the site again! I’d feel they were pressurising me – I have every right to stop buying, just as I have every right to put down products I’ve picked up in a shop. The less info a store asks of me, the more I’ll trust them, and the more likely I am to go through with a sale. I sell downloads, so I’d prefer not to ask my customers for needless info like phone or address. When someone has not completed a sale, I will email them – never phone – and make it clear I’m just checking if they had problems (not putting them under pressure to buy). Hey Mark, we have Follow Up Emails which you can set up to email the customer x days after cart abandonment and try and get them to complete the purchase. However this is limited as you have to know the customer email so it will only work on customers who signed and was logged in while adding to cart. Cart abandonment is natural & inevitable. A lot of online store retailers obsess about driving cart abandonment rates as close to zero as possible, and it’s just not possible. Leaving shopping carts happens all the time in real life, so it makes sense that the behavior translates to ecommerce.